The effective treatment of many mental health conditions necessitates that clinicians prescribe medications. Considerations for ethical treatment, however, demand that clinicians be wary of advertising hype, aggressive sales pitches, and confusing statistical methods. 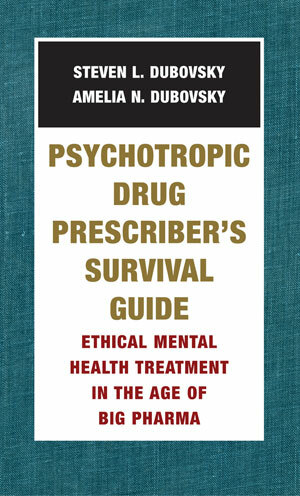 Psychotropic Drug Prescriber's Survival Guide is a long-awaited primer on the basic principles of pharmaceutical research, statistical methods, and health care ethics. The common sense approach of the authors enables practitioners to use information about psychiatric medications intelligently and to develop responsible prescribing practices. This book appears at a time when new guidelines are emerging every day in response to growing public concern about industry marketing. The authors write within the context of this changing policy environment and apprise readers of what is developing in terms of regulations and what impact those regulations will have on their practice. However, sensible prescribers recognize that responsible treatment still cannot depend on external controls. 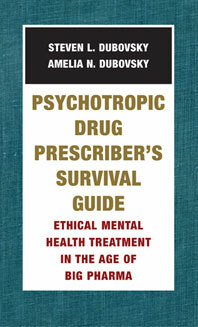 Psychotropic Drug Prescriber's Survival Guide helps clinicians negotiate this complex situation and arms them with strategies for getting to the facts in an era in which solid science competes with marketing fictions.